Who/what is Miss Kate Cuttables? Miss Kate Cuttables is me, Kate Garfield. I am the only person creating all of the content on my website! After spending years creating my own designs for my previous page kit company, I decided to change direction and sell my digital designs directly to you! I have been designing SVG files on a daily basis forever, and have always been a perfectionist when it comes to my designs. You will never find strange lines or unmatching layers, and I know how to make files that are easy to cut, easy to layer, and will make your scrapbooks pop! What software will open an SVG? Currently, most cutting software will open SVG files and allow you to cut the shape. Most have the ability natively and a few require a paid upgrade. Cricut Design Space, Pazzles InVue, & Brother Scan N Cut Canvas will import SVG files. Silhouette Studio requires the Designer Edition paid upgrade to import and cut SVG files. Find Designer Editon for an AMAZING deal here! Sure Cuts A Lot and Make the Cut are both fantastic 3rd party programs that will open and cut SVG files. If you are not sure if you can cut an SVG file, the best way to find out is download the freebie and see. What cutting machines will cut SVG files? Most cutting machines will cut my SVG files with compatible software. How long do I have to download my files? You have 5 days from purchase to download your files and up to 3 times to re-download them, if you have any problems downloading your files please contact me at info@misskatecuttables.com. *Freebies* You can only download them the day they are the featured freebie. After that, they are moved to the .50 cent section. I downloaded the file but can't find it. Most computers have a dedicated downloads folder that downloads save to by default. Windows File Explorer and Mac Finder have a shortcut to downloads folder icon on the left side of their window. Browsers will also show downloaded files across the bottom of the browser. Can I download the files to my Tablet, Smart Phone, iPad or iPhone? YES! On Apple devices, you save our .zip file to your CLOUD DRIVE. Then open the .zip, select the SVG file you want and save that file to your CLOUD DRIVE. From there you can import the SVG into your mobile devices on Cricut Design Space. How do I open the .zip file I downloaded? Zip files are compressed files that contain the contents of what you order. The reason they are compressed is to make your download faster. Most computers have built in decompression software but if you are having trouble extracting, I suggest using a free extractor. Windows users can go to www.7-zip.org and download a FREE extractor. Mac users can go to www.izip.com and download a FREE extractor. What cutting machine do you recommend? All machines have their pros and cons. 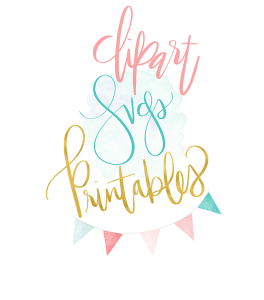 I use the Silhouette Cameo 3 mostly but love my Pazzles Inspiration Vue & Cricut Explore Air 2. These machines and their previous generations all produce really good results. The NEW CRICUT EXPLORE will work with our SVG files. This does not change the compatibility of older Cricut machines. What do I get with my purchase? All products are digital downloads and come in a compressed Zip format. Inside each Zip file are individual SVG files, PNG files, and JPG files for every element pictured. You will also receive a printable PDF instruction sheet file for the SVGs, which includes a picture of all the layers included in the file and 1 JPG picture of entire collection for viewing. The PDF file is very helpful so you will know exactly how many layers there are and how they are supposed to be arranged once they are cut. How do I cut out my SVG file? In your cutting program, open the selected SVG file you would like to cut and import it into the program. It will appear on your cutting mat. Size your shapes to the desired size. Make sure you have the “Keep Proportions” selected! Also keep multi-layered shapes the same size so they will layer correctly. Load your cutting machine and click cut. It is that easy! Are these collections compatible with "Print and Cut"? Yes, we include high resolution JPG and PNG files of every shape, so you can print and cut. How do I get FREE SVG downloads? Easy, purchase Sure Cuts A Lot, eCal (SCAL for Sizzix eclips) or Make The Cut! through Miss Kate Cuttables "Buy Now" buttons and email us at info@misskatecuttables.com. Once we have confirmation of your order from the software developers we will send you a coupon code for $10 worth of SVG file collections. Go to our Compatible Cutting Software page for details. How do I get a hold of you? My email address is info@misskatecuttables.com. I will respond as soon as possible (within 24 to 36 hours at the most) and help you with any questions you may have. When are the new collections released? I release at least one new collection a day. We also release one new Freebie daily. Is there a Return Policy? Due to the nature of my products, returns are not accepted. Please know that your complete satisfaction is my number one priority. Please contact me if you have any concerns or questions about your products or transaction. If you lose your files please email me for a replacement. My email address is support@misskatecuttables.com. What if there was a problem with my order? Please contact me immediately if you have any concerns or if you are having problems with your downloads. What type of license do I get with my purchase? My digital files include a personal use only license. Commercial use is available, here is a link to our License & Copyright information page. Those that are using my SVG files or images for commercial use without purchasing commercial licenses are doing so without our permission and are violating copyright laws. When we decided on pricing we made our files affordable enough that every single customer could buy their own collection. Please don't share, distribute or give away my design files to anyone. Do Credit Vouchers expire? No, Credit Vouchers never expire. If you spend the money it will be there until you use it up. Do Credit Vouchers carry a balance or do I have to use them in one transaction? Credit Vouchers will carry a balance so you can use a little every day and you will not lose any money.